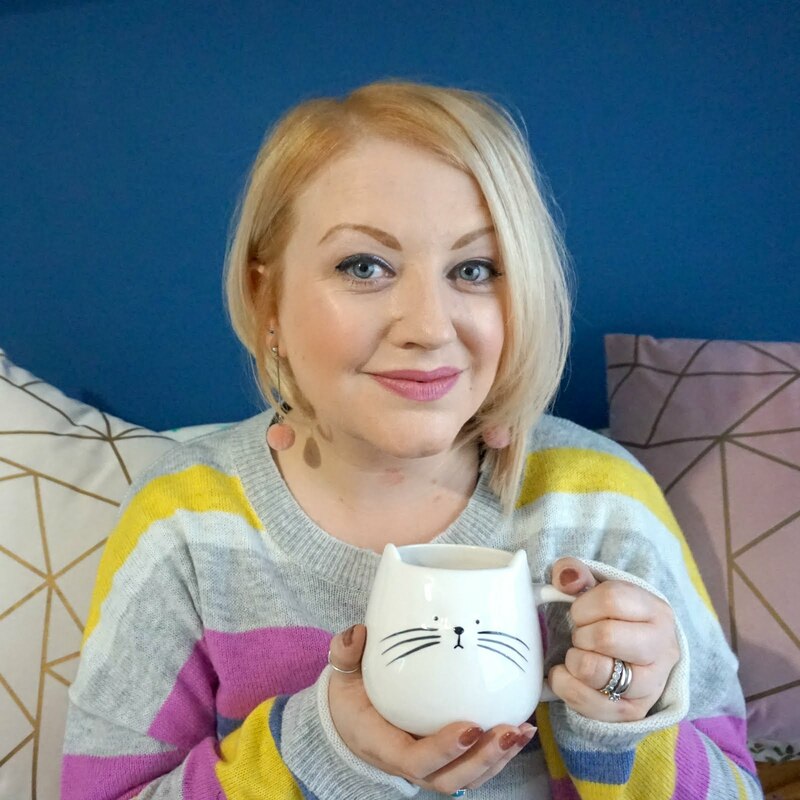 You may have seen my post on Instagram about the crushed car found in the car park, with the only clues being giant footprints and some tufts of orange fur. When we arrived and got our bearings thanks to the helpful team at the customer service desk (I ALWAYS get lost when we visit here, it's such a vast shopping centre! ), we heard the sound of a marching band and Ethan was quick on the trail to find out what was going on. He then got a glimpse of something large. 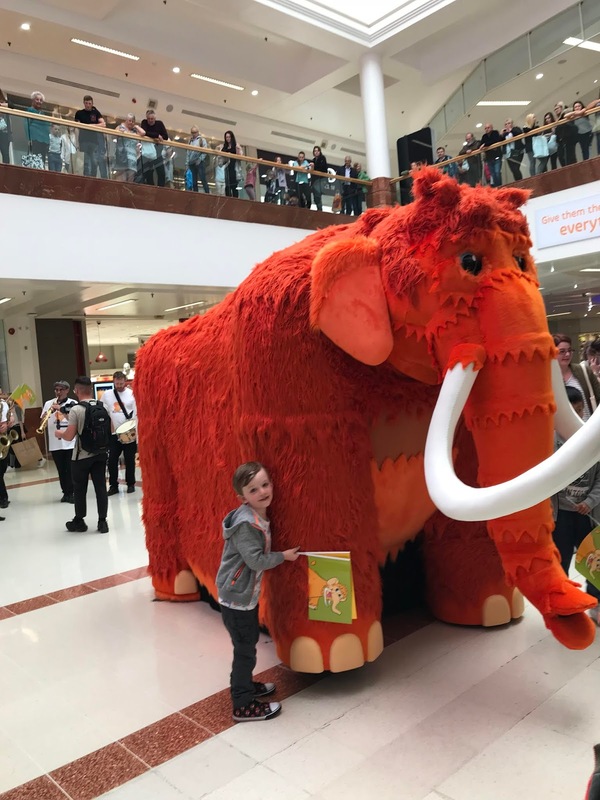 It was Marmalade, the new intu Merry Hill mammoth mascot! Marmalade was stomping after a marching band, with an explorer guiding him and people giving out flags to all the children who were watching in amazement - Ethan being one of them. 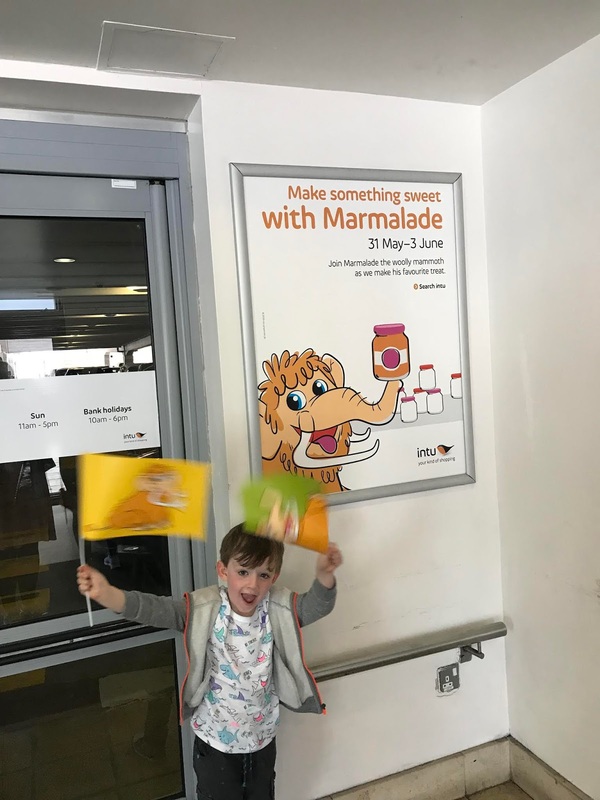 When Marmalade got as far as customer services, he turned around and posed for photos with everyone. Ethan was very excited, but a bit apprehensive at first as he really is big up close! He soon gave his fur a stroke and burst into a big grin. We went exploring ourselves, popping to Primark to pick up Ethan some new summer clothes, to Cath Kidston for me and a few of the men's retailers for Ste, before we went seeking food at Eat Central, opting for noodles. We covered a lot of ground and had fun enjoying the shops; there's pretty much something for everyone and you could even do your big shop, as there's an Asda too. There's lots of places to eat, from fast food and cuisines from around the world to restaurants, with Nando's (see our review here) and Pizza Express, plus a Wetherspoons. Across the road, there's an Odeon and a retail park, so a visit to intu Merry Hill really had everyone in the family covered. 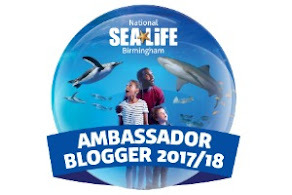 There's The Entertainer, The Works, Disney Store and Build a Bear Factory to name a few places that Ethan loves, and all the main shops you can think of for clothes, home and accessories, so if you want to make a day of it, you'll certainly be kept busy. What's more, parking is FREE. A real bonus, and pretty rare these days for a destination as big and popular as this. 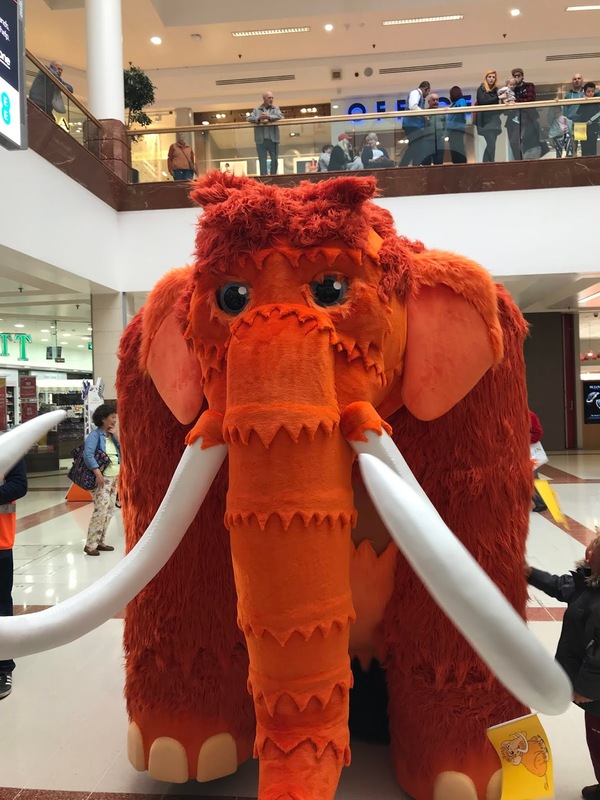 If you're looking for things to do this May Half Term, you can find shops, dining and a whole lot more all under one roof at intu Merry Hill - and with the arrival of Marmalade the Mammoth, there's a HUGE amount of things for kids to enjoy too. Get messy and creative with intu's Marmalade factory. Learn how to make your own fruity preserves with our new cuddly mammoth from Thursday 31 May until Sunday 3 June. You'll also get the chance to make your own delicious Marmalade cookies! The factory will be open at 11am, 1pm and 3pm with spaces limited to 24 slots per session. Please note due to limited spaces, booking allocations are restricted to one per child. Pick a family member and bounce along on our intu Space Hoppers on Monday 28, Tuesday 29 and Wednesday 30 May from 10am until 3pm. Race along the S-hopping track on the lower mall near Debenhams. Hoppy days are coming! 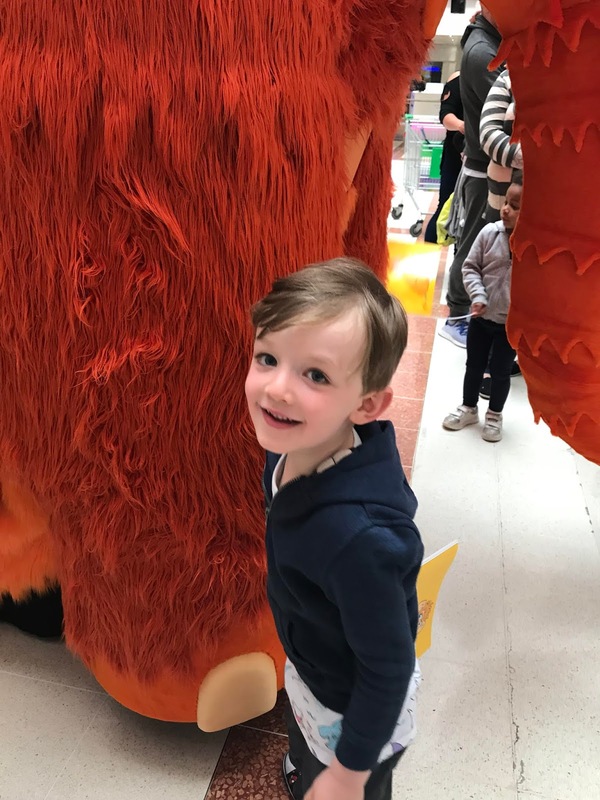 Join intu Merry Hill's new family club this May half term and let the quality family time begin! Plus join the club now and bag some exclusive deals and discounts right across the centre. 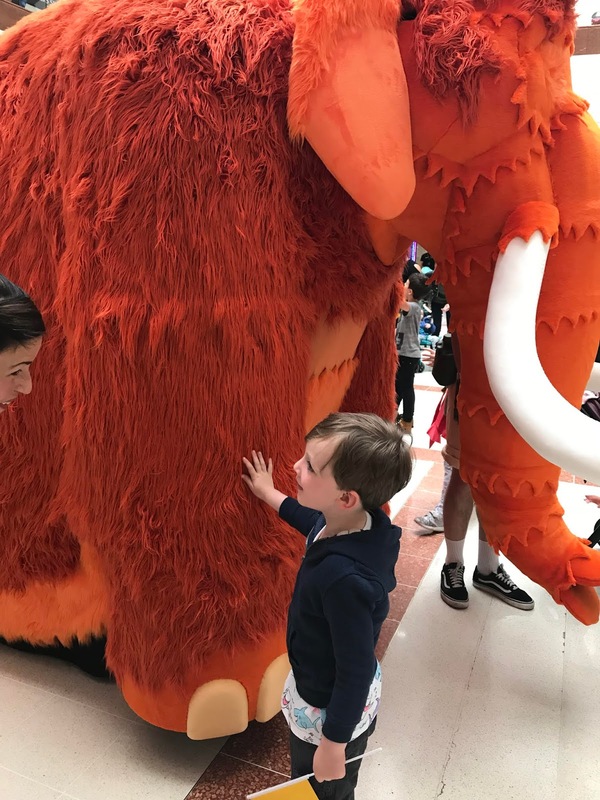 Find out more about the May Half Term fun at intu Merry Hill here. Ethan was pretty sad when we left, even though we hung around for another half an hour so he could spot Marmalade again. The flags he was given now have pride of place in his bedroom, so it really can be the little things that make memories that last.